Port Jefferson Raceway is a race track for racers, run by racers. 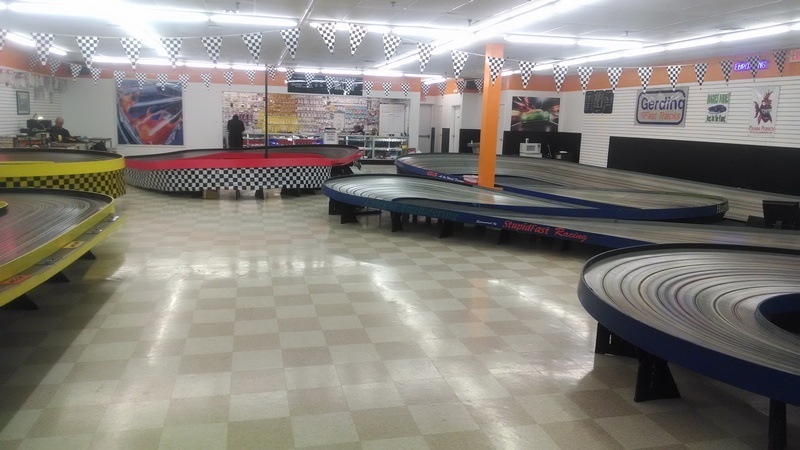 We have a reputation for having fast tracks, and our racers have a reputation for being familiar faces in main events and on the podium at numerous National Championships and other major slot car racing events. Besides Port Jeff’s renowned reputation for our wing car racing, we also run a very competative scale racing program as well. But slot cars are not only a competitive sport, but are also a great hobby and a fun past time. We offer weekly racing programs for any skill level from raw beginner, to casual racers, and all the way up to advanced racers. No matter what your age, level of interest, or budget… we have a racing program for you! And… you don’t even have to be a racer to enjoy slot cars! We have rental cars & controllers, and 3 huge 8 lane commercial tracks that you can run on just for fun! You can also reserve a track for your next birthday party, or other group event. Slot car parties are a great way to enjoy racing with family, friends, or coworkers of all ages! 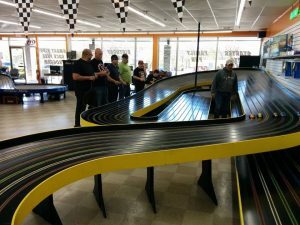 So whether you are a seasoned racer, or used to race way back when, or if you have never even raced a slot car before… come on down to Port Jeff Raceway and get in on the fun of this great hobby!